Older adults are as eager and as capable of adopting new technologies as younger generations. The younger that people may be, the more likely we are to witness them posting selfies on Snapchat, sharing their latest meals on Instagram or issuing demands to Alexa that would make a dictator blush – or so many of us believe. In truth, mobile technology and social media have opened as many frontiers for older adults (if not more) as they have for generations that have grown up in the thick of the digital age. Seniors have adopted many social media apps and other mobile technology at an astounding rate, with Facebook being one of the most popular social media platforms for older adults. Decker says WhatsApp is popular for residents who regularly communicate with loved ones out of the country. Residents of Senior Star at Burgundy Place learn the ins and outs of today’s technology during classes. Pratt says artificial intelligence, such as Amazon’s popular Alexa, is highly used by residents in places like Senior Star. Senior Star holds a weekly class for mobile phones and iPads, while Inverness Village regularly invites students from local schools to tutor residents in all types of technology. 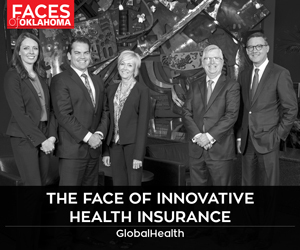 Both acknowledge that there are challenges to overcome, including unintuitive digital interfaces, financial restrictions and physical limitations, such as poor eyesight or limited hand mobility. However, determination goes a long way toward mitigating these factors, Pratt says. She adds that patience is key. 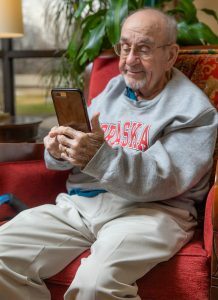 “If you are considering introducing a senior in your life to technology such as smartphones or iPads, please do your loved one the ultimate favor and take the time to patiently teach them how to use it,” Pratt says. 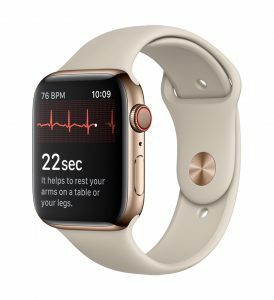 “They make wonderful gifts and are such a wonderful way to stay connected, but one has to be comfortable with the new device, app, et cetera, in order to get the most out of it. The benefits for older adults are definitely worth the time spent by them and their loved ones. 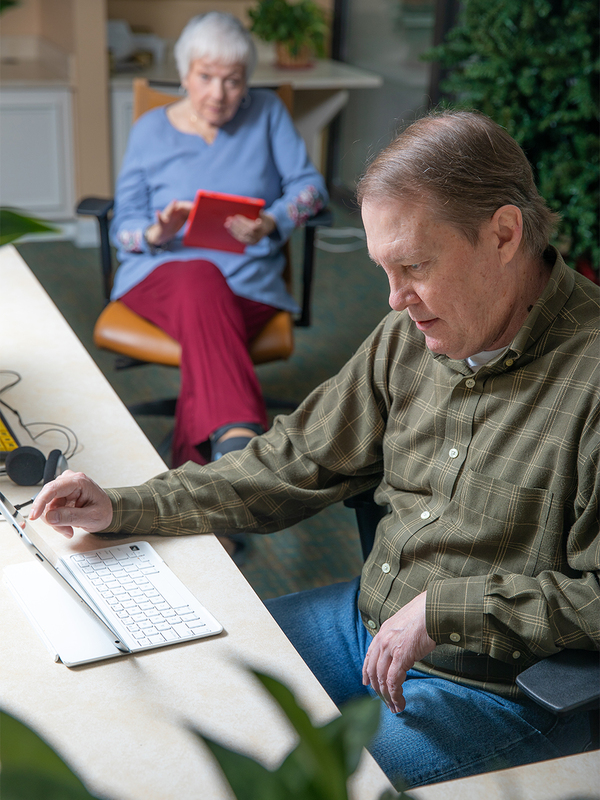 a Resident at Inverness Village uses social media to connect to loved ones and family members. Despite the belief that technology and social media can have negative impacts on many people’s mental health, both Decker and Pratt believe the opposite is often true for older adults. Decker adds: “The connections we make through friendships and relationships help us achieve a level of well-being that is so powerful, it can enhance our outlook on life, better how we cope with difficult situations and even improve the way we age. Positive friendships and relationships play a significant role in the quality of life of seniors, as isolation and depression tend to be prevalent among older adults. 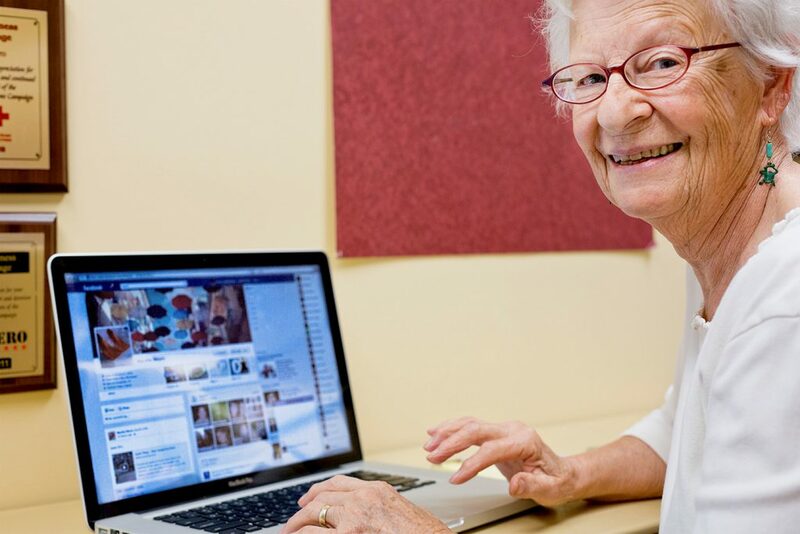 Using social media platforms allows everyone, no matter their age, to maintain those connections despite their geography.